Ok so I've been pretty bad about blogging this past week. I feel like a slacker--and that's because I am. I have basically been eating salads, quesadillas and cereal at home, or ordering take out. Big whoop. But after my very exciting trip to Whole Foods yesterday (now that my roommate has a ZipCard, she takes me anywhere I want--well almost anywhere) I decided to get back on track. Plus, eating cereal all day every day was getting pretty old. Before I get to the recipe, I wanted to mention how crazy the weather has been in Boston. I know a lot of people are going to frown at me for complaining that it hasn't been cold enough, but truth is, I love cold. I love the snow, the crisp air, and the fresh smell that comes with a Beantown winter. This year all that has been scarce; especially the snow. So if I could wish for something right now, it would be snow. Lots and lots of snow. Anyways, since today is the beginning of lent, I decided to make a fish dish. No meat right? Honestly, I had my eyes on this recipe from the moment I flipped through the magazine at Barnes and Nobles, but it was the ideal recipe for today. It was very easy to make and the clean up is amazing; so simple, yet so tasty. Enjoy! Preheat oven to 450F. Tear of 4 sheets of parchment paper, roughly 12 by 24 inches each. In a large nonstick skillet, heat oil over medium high heat. 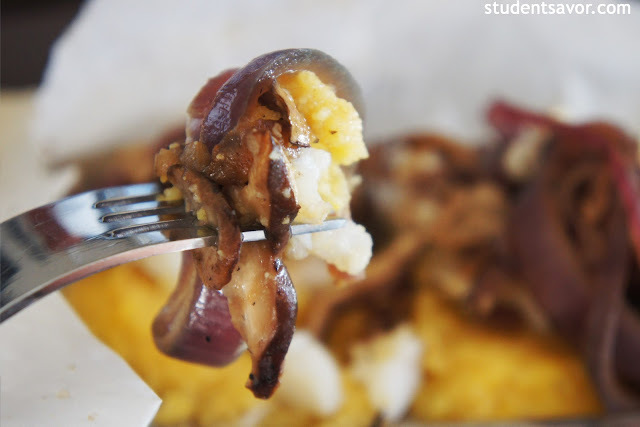 Add onions and cook, stirring occasionally, for about 2 minutes or until tender. 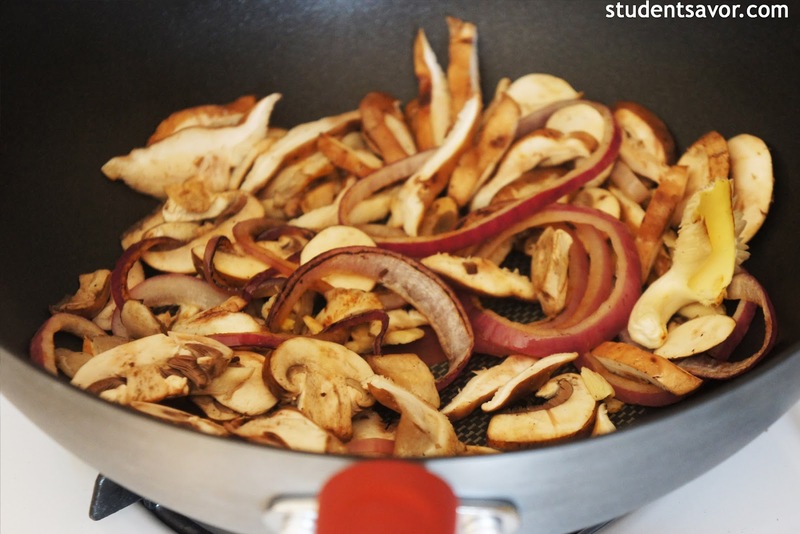 Stir in mushrooms and cook until beginning to brown, about 5-7 minutes. Add wine and stir until almost completely dissolved. Season with salt and pepper and remove from heat. 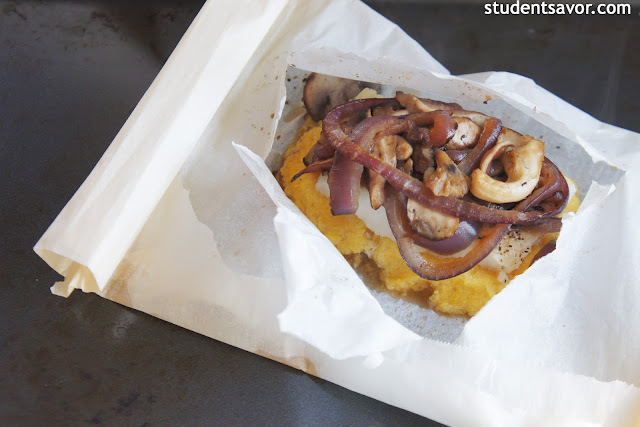 To make packets, fold a sheet of parchment paper in half lengthwise. 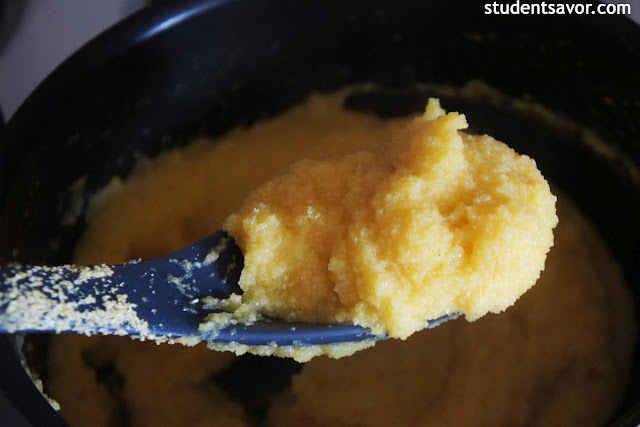 Place 1/3 cup polenta on one side and flatten slightly. 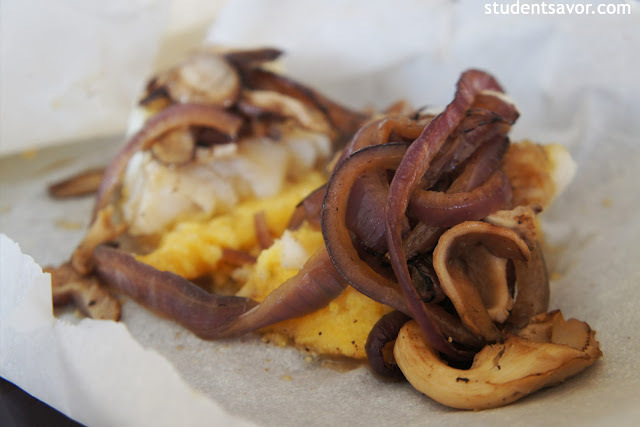 Season a cod fillet with salt and pepper and place over polenta. 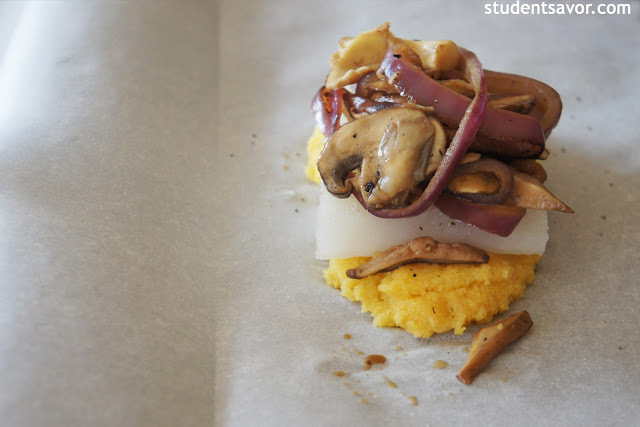 Divide mushroom mixture among the packets, spooning it over cod fillets. Close the packets by folding the paper over and sealing it with small, tight folds. Place packets on a rimmed baking sheet and cook for about 14 minutes, or until fish is cooked through (if unsure, check one packet before taking out all). Place packets on separate places and open by cutting an "x" through the middle, being careful not to burn yourself. Serve immediately.